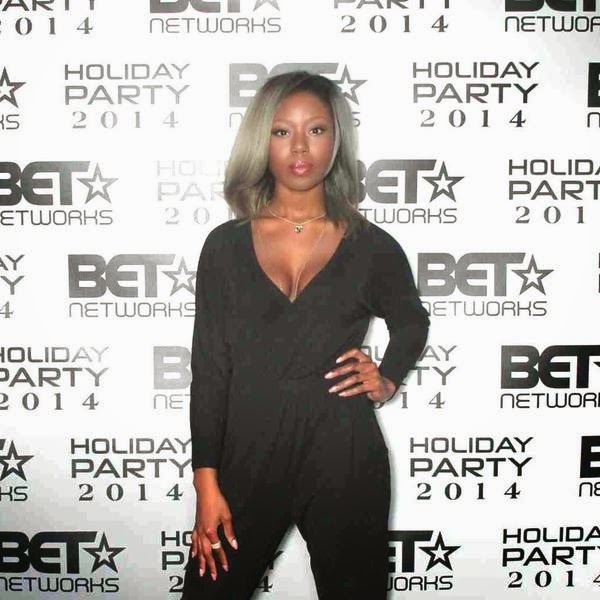 Ivie is a New York journalist and interview host for such outlets as cypherleauge.com, Dopeness Magazine, and BET. There is a bounciness and rhythmic tone to her articles. Her writing style reminds me of my favorite Hip Hop artists a cool confidence bordering on cockiness, but never too caught up to relay an impactful message. And it’s interesting to note she is a well versed writer, an academically sound New York University graduate, but smart enough to know verbose language doesn’t draw in viewers. Ivie’s best work so far has been her open letter to Bobby Shmurda stylized in the format of the Nas classic One Love. As hip hop’s next big tastemaker Ivie will change the game, and it isn’t hard to tell she’s coming for your spot. When did writing become a passion of yours? I’ve always been a good writer. I decided to do what comes easy, so I ended up following that path in college. I ended up double majoring at New York University in Journalism and Africana Studies. I use journalism as a tool for truth; to speak about issues and topics that people aren’t really addressing. I just try to create the content I want to see. I want everyone to understand me, so I try to write content that explores age-old issues in a way that young people can still read and relate to. When you write, you have to know how to make your language accessible. I come from an academic writing background at NYU, writing in social and cultural academic journals. I started to do more op-ed pieces so I’d be able to translate my ideas to a larger audience. Sometimes you have to switch it up. What drew you to write about Hip Hop? I never really had a moment of clarity in which I decided to start writing about hip hop. It's just been an inescapable part of my life since birth. I was already immersed, but once I started studying hip hop, the history and the social and political implications, I realized that I could use it as a means of contextualizing society and humanity as a whole. I also realized that writing is easy when you write about things you care about. I like to play with the English language, but I want to simplify my work, get down to the basics. From time to time I still like to use complex words just for my own benefit. I’d describe my academic writing style as potent and lengthy. I feel if I don’t explore everything thoroughly from as many sides as possible, then I’m doing the reader a disservice. The point is to get as much information and theory across as possible. My online writing style has more personality, but it’s still analytical. I have more of a voice. The voice is more entertaining, but still informative. I try to write serious issues in a more of a light tone to grab attention and spark conversation. How was the transition from academic writing to online writing? It’s difficult. To use an analogy, it’s like when a battle rapper tries to break into the mainstream Hip Hop scene. It’s difficult for battle rappers to make that transition, and even more difficult for them to learn how to make radio-friendly songs and be successful at that. Every time I write a piece that goes viral and gets acknowledgment I feel like a battle rapper with a hit record. What inspired you to write your op-ed A Letter to Bobby Shmurda? Some blogger wrote an open letter to Bobby Shmurda demonizing him. I read it and disagreed with everything they said. I wanted to write something that would enlighten the person who wrote it and everyone else who thinks like that. I planned on writing a basic analytical piece similar to my other pieces, but it was taking a very long time to come together. I spent months gathering my thoughts. And then Bobby got arrested. That’s what inspired the format of the piece. Since he was in jail I figured I’d write a letter directly to him. I thought about when Tupac got arrested and he talked about all the people who wrote to him while he was incarcerated. With all of the unfair criticism Bobby was receiving from all ends--white people, black people, old and young--I figured the last thing he needed was more criticism. I know so many people who are like Bobby and I wanted to counteract the voices that misconstrue their image and just dismiss them. There were so many topics I wanted to address because the issue was bigger than Bobby. I was speaking of every young, black person who’s been failed by a system that has kept us so low for so long. It was important that people start understanding why things are the way they are. I come from a similar environment to Bobby and understanding his lifestyle made me feel obligated to make outsiders understand, too. As far as the style of the letter, it’s different from anything I’ve ever written. The backdrop of the piece is Nas’ song One Love. I used a few of Nas’ lyrics without placing them in quotation marks for creative purposes. I wanted to show that the same issues plaguing young black men 20 years ago when Nas used rap to address them are the same issues plaguing young black men now. I don’t know what made me think of using Nas’ song in the first place, but when it popped into my head I thought it fit perfectly. I often have difficulties writing from a personal point of view, but the Nas lyrics definitely helped me ease out of my usual formal structure. I wanted to make sure that I didn’t separate myself from Bobby. The human connection was most important. My editor and I reached out to his team to send him the letter. His booking agent had read the letter and was blown away. After the letter went viral, I had a few conversations with Bobby’s criminal justice attorney and was able to have it sent to him. I’m currently waiting to hear back. I have high hopes. Tell us more about your piece Kendrick Lamar, B(l)ack at It? I read this book by Touré called Never Drank The Kool-aid and in one section he interviews Questlove. In the interview Questlove says Black creativity and Black music peaks at the most troubling times. Slavery brought the blues, The Great Depression brought Jazz, with the post-war era Rock N’ Roll came about, and the crack era of the 80s proliferated the growth of Hip Hop. Current race relations and the police brutality murders of black Americans by white cops these past few years have really created another period of turmoil for blacks. I just thought this is what Questlove was talking about. It’s happening right now. Kendrick Lamar’s music video for his song i had just came out. I remember watching it and thinking that it could be somewhat of an anthem for black people right now with all that’s been going on. It wasn’t a stereotypical music video either, with all of the different images and representations of black people. Even Kendrick’s image--from the afro to the twists-- made the same statement. Also the Ron Isley sample and cameo in the music video propelled that idea, too. That’s quintessential Black music. The song and the music video are unapologetically black. The whole thing was just a refreshing revitalization of the black image. I thought, this might change the game. We might be on the verge of a new era. Tell us more about your work as an interview host done for Dopeness Magazine? Doing correspondent work for Dopeness Magazine has been the biggest confidence boost for me. It was my first time being on camera. 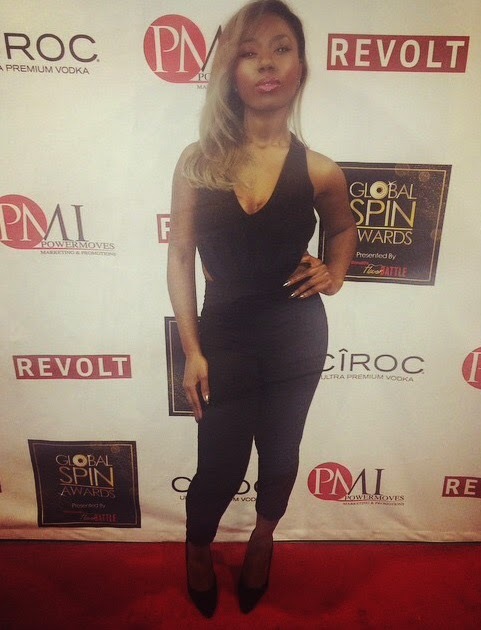 I had covered the Global Spin Awards in New York. I met a lifetime’s worth of Hip Hop legends in one night. Pete Rock, DJ Premier, DJ Kool Red Alert, Rakim, MC Lyte, and Funkmaster Flex. A ton of late 80s early 90s Hip Hop icons. These are people I’ve looked up to my entire life, and being able to interview legends on my first gig was amazing. That was a pivotal moment for me as an interviewer. It made me want to get on camera more and further venture into broadcast journalism. What event would you most like to cover and who would you most like to interview? I would have loved to cover the Grammys in a different era, maybe during the 80s and 90s. I would like to interview Oprah because she’s interviewed everybody. I would also want to visit Nigeria and interview regular townspeople from the villages that are being affected by the recent attacks. There isn’t much coverage of Nigeria, or Africa as a whole really, here in the states. There is always coverage of Europe and other regions of the world, and that needs to change. These issues matter and I want to make an effort to get information and news coverage in Nigeria and bring it to America. How do you think female journalists are represented in Hip Hop? They are misrepresented and I don’t think there are enough of us. It’s so hard to break into this industry and women don’t get treated fairly at all. Women do get exposure as reporters, but then you have to break down what type of women get that exposure. Do Muslim women who wear hijab get that exposure? Do black women with afros or dreadlocks get that exposure? Do women who want to discuss real issues and not cover gossip get that exposure? When I came into the game I wanted to be Fab Five Freddy but better. I want to be Uncle Ralph McDaniels, but better. I want to be Oprah, AJ & Free, but with my own twist. Often times when I listen to radio shows with several male hosts, and one female host, the woman barely ever gets a word in. And when she does, they have her talking about the non-important, fluffy topics. I don’t want to sit behind the mic and ask about a Hip Hop artist’s relationship or favorite emojis. In Hip Hop women are treated like commodities. Women and bottles of alcohol are pretty much viewed the same sometimes; the goal is to bring both to the club to fawn over and indulge in. When I attend events I’m always placed in the eye candy category when I’m actually there to cover the event as a journalist or to network. Even when I try to network, get people’s contact info, men want to talk to me on a different kind of level. As a female journalist you have to set boundaries, but still be nice and civil. If I come off as this cold person who shuts people down, nobody would want to work with me in the future. I want to be known for my work, merit, and the strength of my business relationships. I want to be the liaison between the background and the foreground. I want to do everything--write, host, interview, direct, and produce. I’m taking on a holistic approach to hip hop because there’s just so much I can do. I’d be doing a disservice to my career if I limited myself to one field. In the future, I still see myself interviewing people, hosting shows, TV or radio. I want to work alongside artists in an executive position and help promote them. I’d also do some reporting work internationally. I’d definitely be writing books. I really just want to be a tastemaker--a person who brings important information, theory, and opinions, to the masses. I want to create and cultivate culture on an academic and entertainment level.